The 11 holes that make up Vistabella Golf allow it to be configured as an 18 hole course, par 73 and nearly 6,000 meters long. 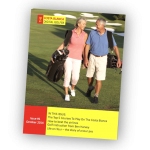 It has been designed along the lines of all modern courses with a range of tees to suit every player, broad fairways and challenging bunkers and greens. Vistabella Golf offer green fees for 11 and 22 holes, allowing players to play the round twice. This is an unusual alternative to the traditional 9 and 18 holes. In the holes that are repeated, there are different tee placements to make the holes that much more enjoyable and challenging the second time round. 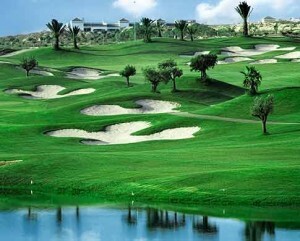 This is a course that has the best greens in design and condition on the Costa Blanca. It is underrated because of its 11 holes but with the differing Tee positions it makes it a delightful test of golf.